Will Running Hurt Your Knees? 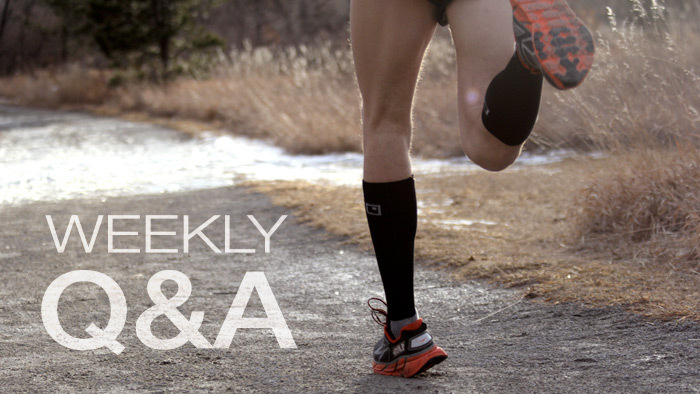 Does running long distances affect your knees, especially if you are running on the roads? Yes and no. Running can affect your knees—but so can not running. Orthopedists suggest that individuals, who are overweight and under-fit, probably suffer more knee problems than those of us who exercise. As for running on the roads, some surfaces are softer (asphalt) or harder (concrete) than others. Treadmills probably stress the knees somewhat less than running outdoors. Trails through the woods with their uneven surfaces probably stress the knees somewhat more, but those same uneven surfaces also can strengthen the knees. Regardless what you do, there’s a tradeoff. Some of us possess better form than others. I am blessed with good biomechanics, meaning I have a straight and easy stride, resulting in less twisting of the joints when I run. As a result, I have suffered few injuries during my career. But I know other runners, who have run faster than me despite possessing poor biomechanics. Their feet hit the ground unevenly forcing all sorts of muscle adjustments, each stride, resulting in a twisting of the knee and eventually pain that leads to damage that finally needs to be corrected by surgery. If knee problems surface, you should consult with a podiatrist or orthopedist. Sometimes a simple shoe adjustment can provide protection. Orthotics (custom-made inserts) may allow for a smoother foot plant. Nevertheless, when it comes to the knees, you are better off being a runner than a non-runner.